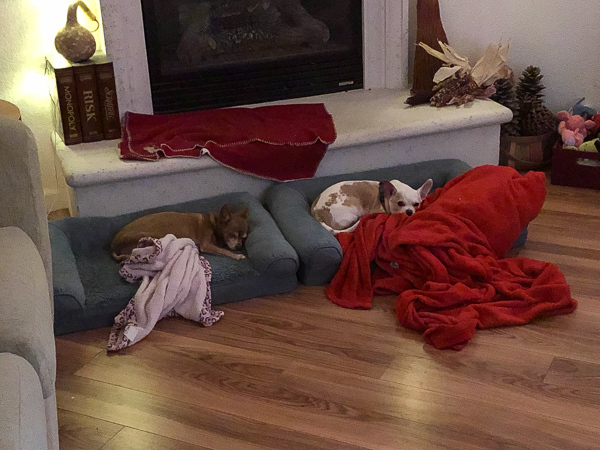 We’re still kind of waiting for spring here with more rain and storms this week, the pups seem especially frustrated with rain interrupting evening walks. Poor Miko rushes out to the back yard excited for fresh air, comes to a halt and looks back at me and pouts about the rain. But I am not complaining yet, lots of rain is a good thing for California. And I am channeling spring with this salad dressing. The inspiration for it came from an episode of Queer Eye on Netflix where Tony created a Cherry Dijon sauce. It was to go with pork, awful. But why not a dressing version of it? 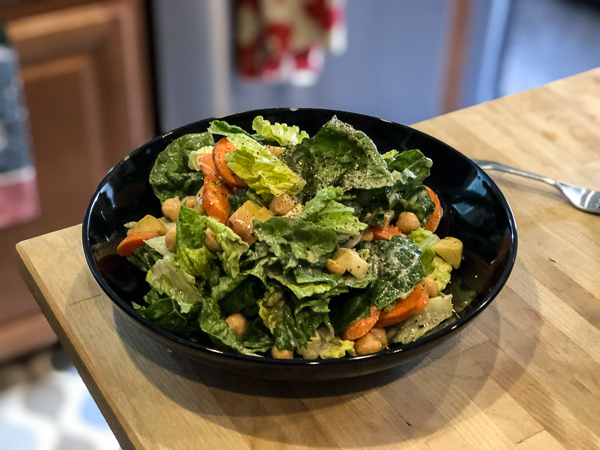 This sweet, creamy, and tangy dressing pairs perfectly with a spring salad for a healthier way to enjoy the flavor combo. 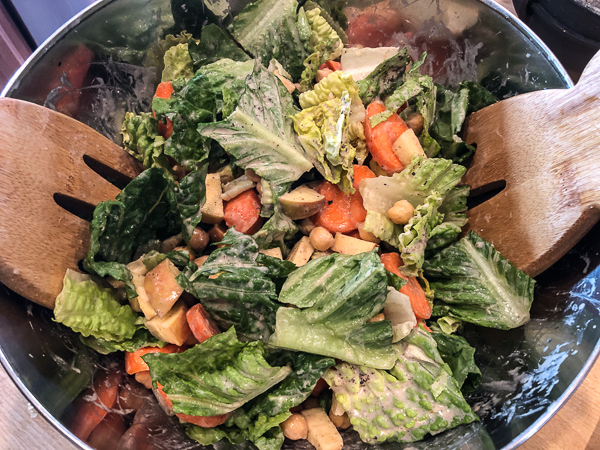 I coated a simple romaine salad with chickpeas, apples, and carrots for a light and easy dinner. And topped with simple cracked pepper. It’s creamy and sweet without the oil or sugar, and has a kicky Dijon and garlic flare for an unexpected, but pleasant surprise. 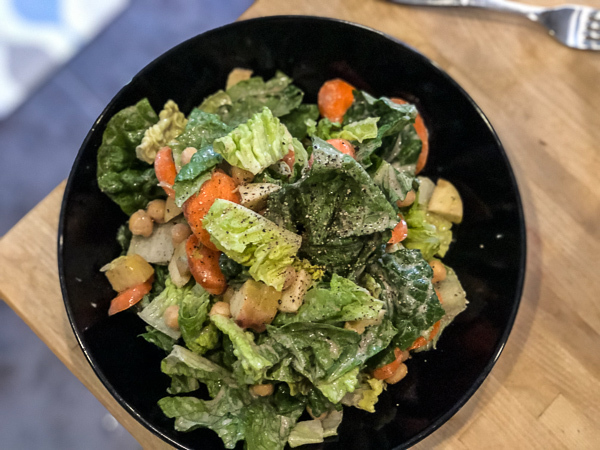 Dive into a loaded healthy spring salad with this dressing. Oh, cherries! This reminds me that we have cherry season to look forward to in the near future… I can’t wait to try this blend with fresh cherries, too.